Live more fully the Christian life to which you were called, through this Wesleyan model. Covenant Discipleship is a modern adaptation of the original Methodist band meetings developed by John Wesley and his brother Charles, the purpose for which is mutual support for living as a disciple of Jesus Christ to the end that one can then disciple others (i.e., train others in discipleship). 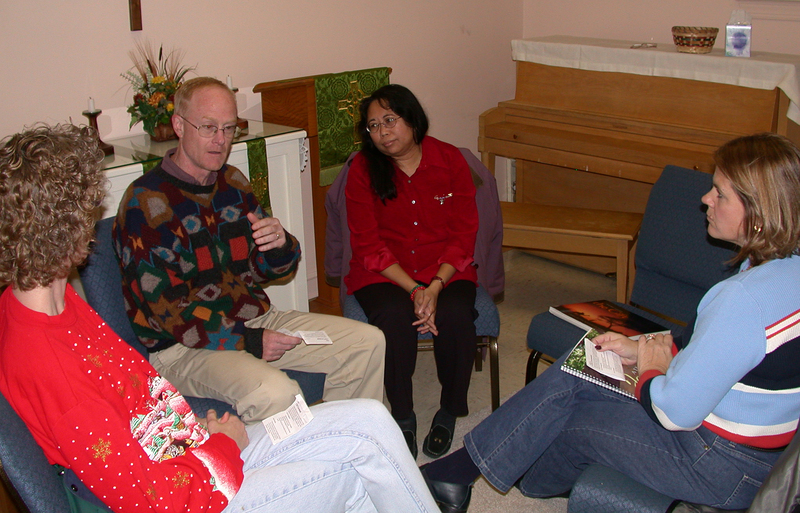 Groups (of up to seven persons) meet weekly for one hour. These groups promote a balance between works of piety and works of mercy, the balance necessary for a healthy (i.e., functional) Christian life in both personal and public expression. The agenda for each meeting is a covenant written by the group and based upon the General Rule of Discipleship: to witness to Jesus Christ in the world and to follow his teachings through acts of compassion, justice, worship, and devotion under the guidance of the Holy Spirit. In their weekly meetings, members “watch over one another in love.” It is within such a loving, confidential environment that Covenant Discipleship groups help to form people as dependable and mature disciples of Jesus Christ and leaders in discipleship. I am interested in Covenant Discipleship.